Joseph F. Devilbiss Construction Company was founded in July 1993 by Joseph F. Devilbiss, Sr. 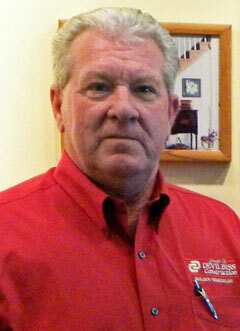 He began his career in 1970 after he was hired as a carpenter by Ernie Ausherman, of Ausherman Construction Company. Joe excelled in his trade and eventually worked his way up through the ranks to assume the position of Vice President of Construction. It was there that Joe learned to appreciate quality building techniques and the importance of superior customer service which we continue to provide at Joseph F. Devilbiss Construction Company today. Joe is a past president of the Frederick County Professional Remodelors Organization and is a current member of the Frederick County Builders Association and National Association of Home Builders. Joseph F. Devilbiss Construction Company holds an A+ rating with the Better Business Bureau. We are proudly associated with the Frederick County Students Construction Trades Foundation, Inc., an educational program that provides construction trades training to area high school students. A number of our own employees are graduates of this program so we can truly appreciate the training and knowledge that these students receive. Joseph F. Devilbiss Construction Company offers a full range of services beginning with our own in-house architectural designs, eliminating the need to spend potentially thousands on construction drawings. To get you started, one of our qualified sales professionals will meet with you on site to discuss your project in detail and will use this information to design the ideal plan to fit your needs. A second meeting will be scheduled to review the completed drawings as well as a written proposal to describe the entire scope of work including detailed specifications so that you know exactly what is included. No hidden charges. Our price includes all design services; permit application fees, labor and materials. A customer reference list will be included with your proposal so that our past customers can share their own construction experiences with you. Throughout construction you will have daily interaction with your construction supervisor. We are proud to employ our own team of skilled carpenters and a talented stone mason. You will find our entire construction team to be very courteous and trustworthy. Another unique benefit that we offer our clients is the convenience of working directly with our project coordinator. She will provide assistance throughout each phase of construction so you always have a point of contact and will guide you through the entire selection process. We want to make your building experience as painless as possible. We are confident that we can earn your trust by providing a quality job and superior customer service at a reasonable price. Please give us a call today. We would love the opportunity to bring your dream project to life!